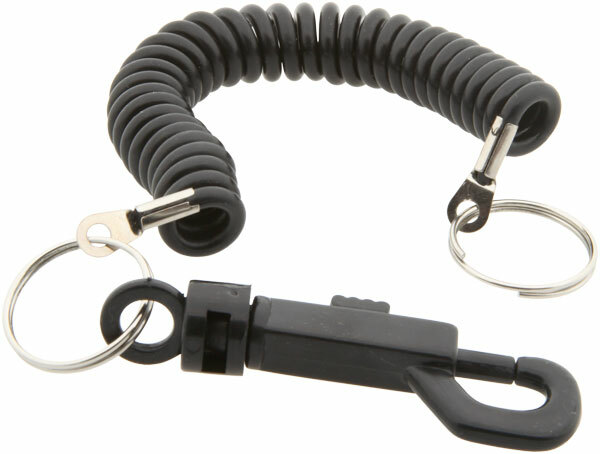 This black plastic swivel hook and black coil is a practical substitute to the mini retractable key coils. Used often by catering companies, banks, clubs, casinos, and restaurants to hold keys, magnetic cards or ids. Includes two 7/8" split key rings. 4" coil extends out to 4 feet then coil springs back to its coil shape. Other colors available by special order. 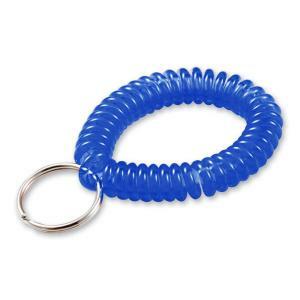 Wrist coil key chain with key ring. Telephone cord style coil key chain. Hold ids and keys. Our key coil is comfortable wrist coil helps you keep your keys within easy reach when you are at work, exercising or water sports. Quality coil springs back to its shape. Ring size 7/8"
Need custom tag added to promote your event? Contact our sales dept. for details.